Over the summer one of our Elementary Campus classrooms was transformed into a Makerspace. Thanks to May Center parents we have an abundance of donated materials for the students to use for their creations. 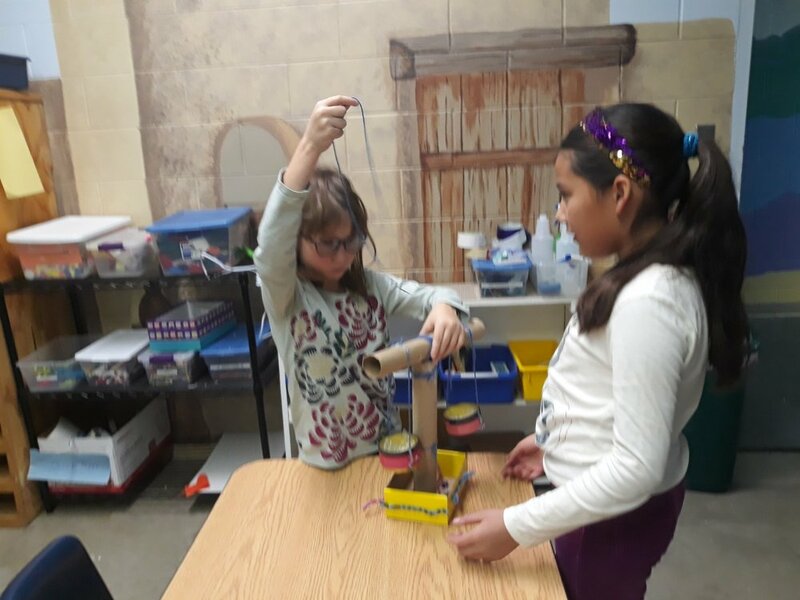 This semester Elementary students have tackled a number of Makerspace challenges. Students created flags that represent themselves, been challenged to create a ship that floats, and crafted balance scales. All Makerspace challenges are aligned to the cultural studies of the colonial times. Through these challenges students are given the opportunity to plan, engage in creative thinking, explore curiosities and problem solve. These are critical activities for students to experience to help develop executive function skills. An added bonus is they can have fun while learning!